Aurora. Newtown. San Bernardino. Orlando. Fort Lauderdale. Active shooter situations are becoming increasingly common and getting closer to home. 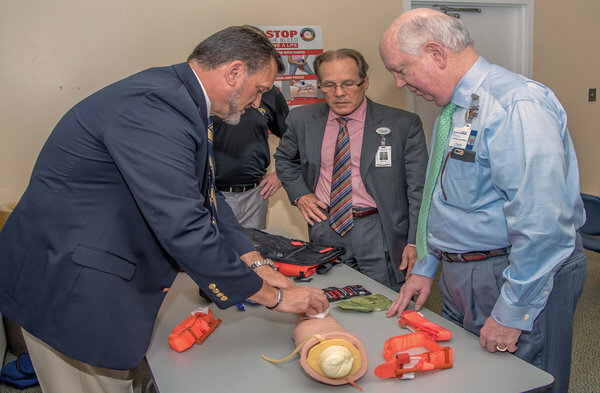 TraumaOne at UF Health Jacksonville is part of an initiative called Stop the Bleed, which aims to teach bleeding control techniques to the public and decrease preventable deaths during mass casualty events. After the Sandy Hook Elementary School shooting, the American College of Surgeons convened with emergency medical response organizations, the National Security Council and other public safety officials. They published the Hartford Consensus, a report on improving survival rates from active shooter events. Their findings showed half of the students involved lost their lives due to controllable hemorrhaging after being struck by gunfire to their extremities. If bystanders had known bleeding control methods, the students could have survived until paramedics arrived. The answer became clear: Turning civilian bystanders into first responders is essential to saving lives. The recommendations published in the Consensus are the basis for the nationwide Stop the Bleed campaign. 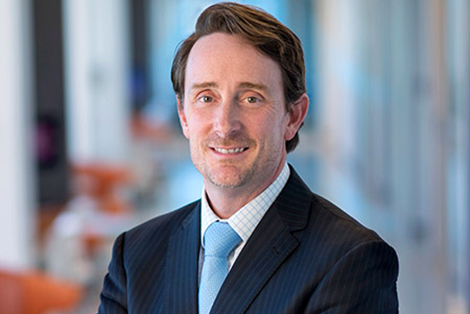 “It only takes minutes for someone to bleed to the point that they’re not going to survive, especially if you hit one of the major arteries in your leg or your arm,” said David Ebler, MD, medical director of TraumaOne. Chance of survival improves significantly when someone can apply Stop the Bleed techniques. 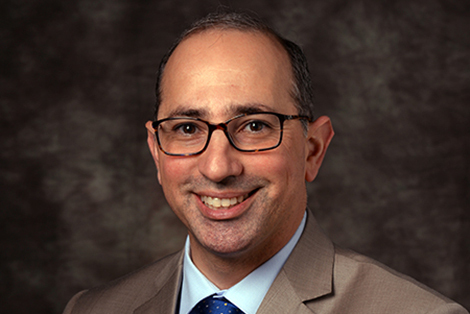 “It could go from somebody bleeding to death in minutes to having up to two hours before they need intervention by a trauma surgeon,” Ebler said. The Stop the Bleed course takes only an hour to complete. A trainer guides the class through two evidence-based methods of bleeding control: placing a tourniquet on an extremity, and packing a wound with gauze with both hands. 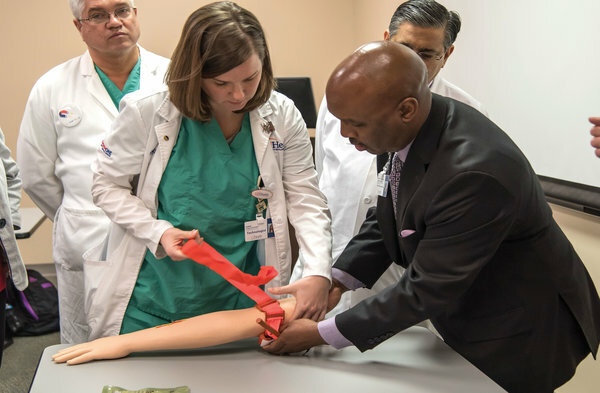 Participants learn directly from EMT first responders, faculty trauma surgeons and surgery residents, and spend time practicing on anatomical models with stab and gunshot injuries. While the course is a byproduct of active shooter scenarios, it could also save lives in other traumatic scenarios. “This knowledge can be used in any traumatic situation — if a guy outside cutting tree limbs or building something using a saw cuts his arm, or in motor vehicle crashes,” said James Montgomery, EMT-P, outreach coordinator for TraumaOne. The focus of the course is to make participants feel capable of taking action in an emergency situation, and it seems to be working. On Feb. 17, hospital CEO Russ Armistead, Ebler and Montgomery honored Terrance Hightower of the Jacksonville Sheriff’s Office with a plaque for using a tourniquet to save a teenage victim during the First Wednesday Art Walk shooting this year in downtown Jacksonville. His use of Stop the Bleed methods is a reminder that tragedy happens unexpectedly, and a bystander’s response can be the difference between life and death. “‘Mass shooting’ and ‘active shooter’ weren’t in our vocabulary a decade ago, but now they are. With minimal equipment, if any, you can make a difference,” Ebler said. The Stop the Bleed initiative is working to provide bleeding control supplies, including a CAT tourniquet, to each person who takes the course. They hope to train and equip 1,000 members of the public by the end of 2017. If you or your organization would like to host a 60-minute Stop the Bleed training session, contact James Montgomery at 244.8515 or James.Montgomery2@jax.ufl.edu. 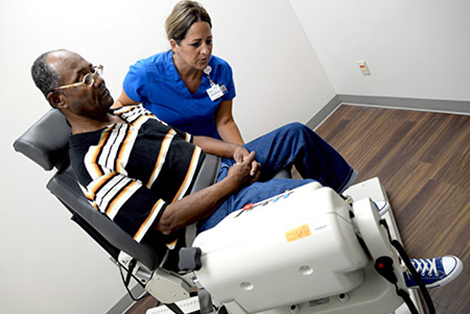 Leon L. Haley Jr., MD, dean of the UF College of Medicine – Jacksonville, instructs a participant on proper tourniquet use. Wayne Marshall, vice president of UF Health North, shows UF Health Jacksonville CEO Russ Armistead how to control bleeding with gauze.